DAG: Prelude to Action, or the Latest Head Fake? The State of the Union Address was notable for its reference to the powerful pen that sits in the hand of the President, but students of the pardon power know that that pen has not seen much action for five years now. And there is just no way in the world that the president can blame the inaction on Congress, or some small group of Hellions in Congress. Among Democratic presidents, President Obama has been the slowest to exercise the clemency power and he is on track to be among the least merciful presidents in American history. Most of the very few presidents who have pardoned less did not even manage to serve a complete term. That is not to say there has not been considerable talk, in the neighborhood of mercy. Candidate Obama promised to do something about sentencing disparities that he attributed to racism. He noted his religion emphasized the importance of second chances and redemption. There followed precious few second chances. In 2010, a "White House official" assured Joe Pallazolo (after 455 days of zero pardons and commutations of sentence) that, "like every administration," the Obama administration was simply "updating the policy guidance for the DOJ on requests for executive clemency" - the clear implication being that that process would be done soon enough. Apparently, that process is ongoing! In 2013, an "unnamed administration official" successfully baited ProPublica with this line: "There will be 76 days between the election and inauguration for the president to exercise his [clemency] power." There followed a whole lot of nothing. And, of course, the Attorney General has recently asked that we remember that the President "still" has the pardon power, and that we remember this is year 5, not year 8 - a freakishly perplexing admonition coming from someone who professed to "learn" from "mistakes" made during Bill Clinton's last-minute pardon disasters. Blah. Blah. Blah. There are more low-level, nonviolent drug offenders who remain in prison, and who would likely have received a substantially lower sentence if convicted of precisely the same offenses today ... This is not fair, and it harms our criminal justice system. But, what is the point? Why the need to encourage defense lawyers to modify their behavior? Why not call on federal prosecutors and judges to modify their behavior? 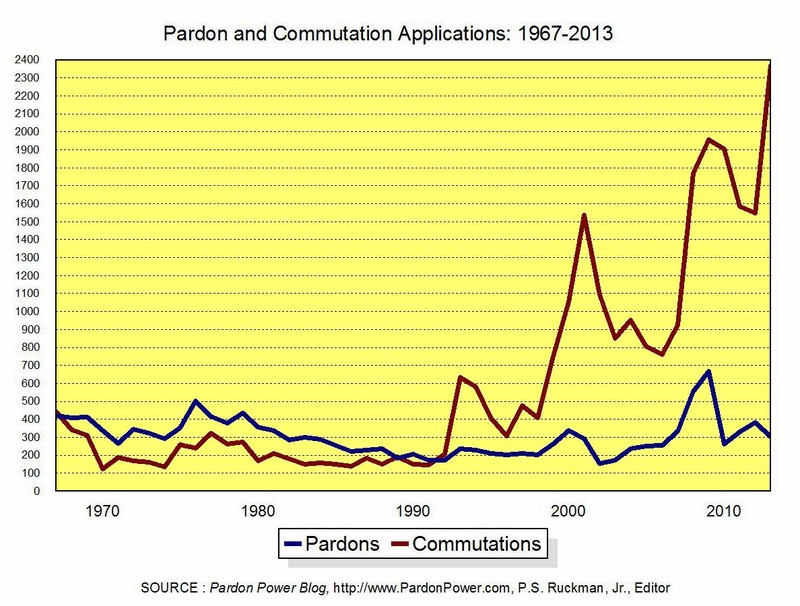 Why not call for change in the Office of the Pardon Attorney? That Office has deep-sixed almost 8,000 commutation applications to date. Now, that Office just needs more applications? If defense lawyers add 10,000 more applications to the pile, that will help how?